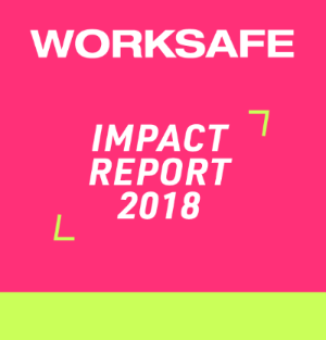 Check out Worksafe's 2018 Impact Report for a bird's-eye view of our efforts this year – our policy advocacy, legal services, training, movement-building, and public outreach. Please read, share, and never hesitate to reach out with questions and feedback. Thank you for encouraging and inspiring Worksafe in 2018. We are ready for 2019 and can’t wait to unlock all the potential that has been built over the past year. 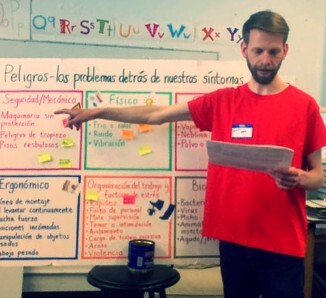 Worksafe, Street Level Health Project, and Centro Legal de la Raza have joined forces to launch the Safe, Secure, and Sustainable Jobs for Day Laborers project. Workplace health and safety is a critical problem for immigrant day laborers who are routinely hired to perform difficult and dangerous work - often with substandard equipment, inadequate training, and poorly enforced health and safety protections. This project combines policy advocacy, legal advocacy, and worker empowerment to address hazardous and unjust working conditions affecting day laborers. Our collaborative is proud to stand with day laborers in Northern California who are rising up, asserting their rights, and becoming community leaders. Worksafe and the Warehouse Worker Resource Center (WWRC) are teaming up to support temporary and contingent workers throughout California. The temporary workforce is one of the fastest growing sectors of the labor market, yet their unique needs are routinely overlooked and their precarious status is often exploited. This leaves temp workers especially prone to workplace safety hazards, labor violations, and economic instability. Temp workers are more likely than direct-hire employees to be injured at work, experience wage theft, and live in poverty without employer-sponsored benefits. This is a statewide project with four main components: Coalition building, Capacity Building, Education & Outreach, and Policy Advocacy. 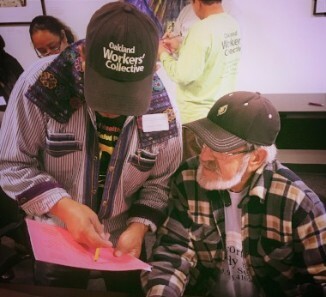 Worksafe and WWRC are connecting with worker centers, unions, legal aid providers, and other community organizations to foster the leadership of temp workers, build the capacity of temp worker advocates, and develop a strategy for statewide policy reform. Make Work Pay is a Public Welfare Foundation-funded initiative to develop a worker-centered progressive policy agenda in the state of California that addresses both short-term policy and structural issues facing workers, particularly low-wage, immigrant, undocumented, workers of color.